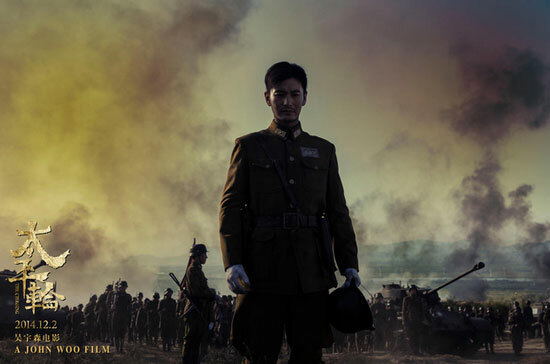 A poster of John Woo's latest movie "The Crossing". John Woo's latest movie "The Crossing" will receive a special gala screening at the revived Singapore International Film Festival. The film is based on the sinking of the steamer "Taiping" in 1949. It's a tragic story that led to the deaths of over 1,500 passengers and crew. Festival organizers unveiled a lineup with local film "Unlucky Plaza," a black comedy by Ken Kwek, as the opening film. The festival's closing film is "In The Absence of the Sun," by Indonesia's Lucky Kuswandi. Eleven Asian films compete for the Silver Screen competition award. Winners will be selected by a jury headed by China's Wang Xiaoshuai, and will be announced on Dec. 13. "The Crossing" will be released in China on the 2nd of December.